‘Stop and Frisk’ May Be Working But Is It Racist”? Home Secretary Theresa May, unveiled a series of measures which will scale back the way police can stop and search suspects. 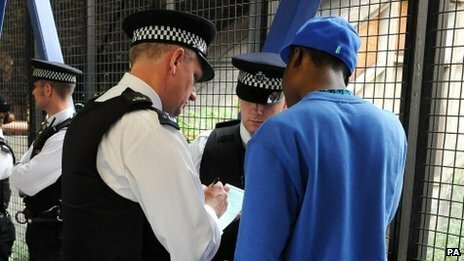 Tougher thresholds will mean officers in England and Wales are able to use the most controversial form of stop and search powers much less frequently. 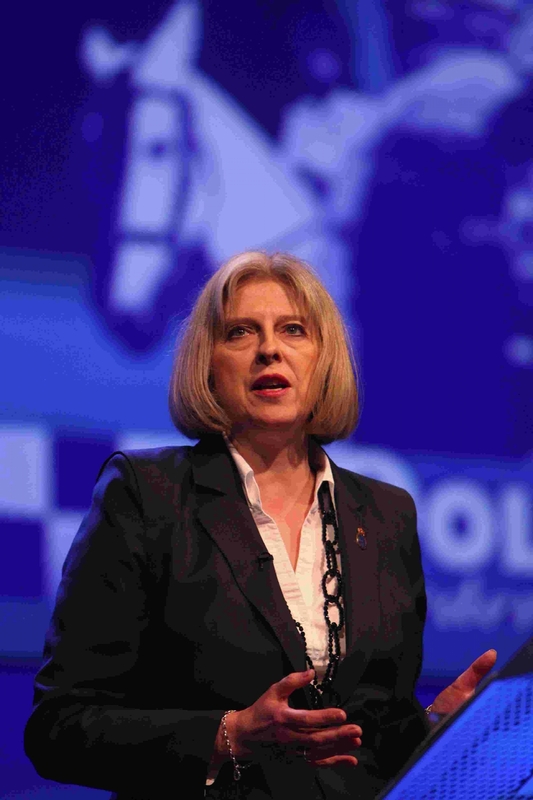 In April Theresa May said use of stop and search had become an “unacceptable affront to justice” after Her Majesty’s Inspectorate of Constabulary found that 27 per cent of searches did not contain reasonable grounds for suspicion. It meant more than 250,000 of the one million searches conducted last year could have been illegal, fuelling concerns that stop and search is used disproportionately against black and Asian people. All 43 forces in England and Wales have signed up to the voluntary scheme and 24 forces will implement two key aspects immediately. 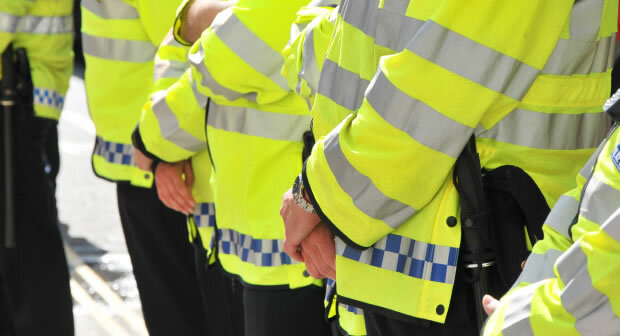 Firstly, the agreement restricts the controversial “no suspicion” powers, which allow officers to stop and search members of the public even when they do not suspect a crime has been committed. A chief police officer must now believe it is “necessary” to authorise use of the so-called Section 60 powers because violence “will” take place. Previously, use of the powers could be authorised by a much more junior officer when it was “expedient” to do so because they believed violence “may” occur – a much lower test. In addition, the powers will now only be available for an initial 15 hours rather than the 24 hours allowed previously. In the second measure forces will have to record the outcome of searches in more detail. 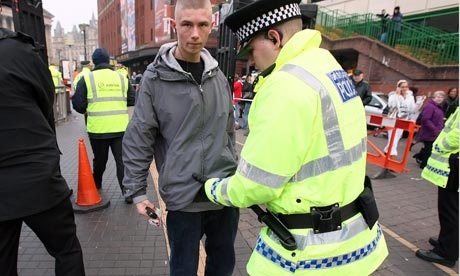 Officers who carry out a stop and search will have to make a note of the outcome such as whether it led to an arrest, a caution or no further action. Further to the above, the carbonated C12 booklets that we carry are not serialised, so a further level of recording is required. Either using MDT (a portable laptop in the vehicle) or back at the Station we will update the incident with an additional reference number, which is obtained from our Crime Recording Office (this name is misleading; they are responsible for a whole host of criminal records responsibilities, part of which includes recording searches). The reference number (much like an incident number) has no bearing or relevance to crime; a search is not recorded as a crime, as I have said. A search may lead to a crime being recorded (i.e. stolen articles or drugs, etc. were found during the search) at which point another number relevant to the investigation would be created. Intriguingly in the United States A US Federal Judge found that stop-and-search tactics used by the New York Police Department have violated the constitutional rights of tens of thousands of citizens and are racist, and called for a federal monitor to oversee reforms to the policy. Judge Shira A. Scheindlin ruled that police officers have been systematically stopping innocent people in the street without any objective evidence that they had been committing an offence. Cops usually searched young black and Latino men for weapons or drugs before letting them go. The ruling follows a more-than-two-month non-jury trial. The 195 page decision found that in 88 percent of ‘stop and frisks’ the police ended up letting the person go without an arrest or a ticket. The judge said this percentage was so high it suggested there was no credible reason to suspect someone of criminality in the first place. She found that the stop-and-frisk-episodes had demonstrated a widespread disregard for the Fourth Amendment, which protects against unreasonable searches and seizures by the government, and also violated the 14th Amendment, which addresses citizens’ equal rights and protection under the law, regardless of their race or ethnicity. Scheindlin also ruled that she would designate an outside lawyer, Peter L. Zimroth, a former corporate counsel and prosecutor in the Manhattan district attorney’s office, to monitor the NYPD’s compliance with the Constitution. This will leave the New York police under a degree of judicial control that will doubtless shape policing policies under the next mayor. “Far too many people in New York city have been deprived of this basic freedom far too often. The NYPD’s practice of making stops that lack individualized reasonable suspicion has been so pervasive and persistent as to become not only part of the NYPD standard operating procedure, but a fact of daily life in some New York City neighborhoods,” she said. The stop-and-frisk incidents are part of incumbent Mayor Michael Bloomberg’s tough crime-fighting legacy, and although the number of people searched has soared over the last decade, crime has continued to fall since the 1990s. Scheindlin heard evidence from a dozen black, Latino or biracial people who had been stopped by police as well as from statistical experts who had examined police paper work detailing some 4.43 million stops between 2004 and the middle of 2012. A number of police officers and commanders also gave evidence; typically they defended their own actions saying they only made the stops when they thought criminal activity was occurring. The judge found that the New York police had overstepped their authority to briefly stop and investigate people who are behaving suspiciously and that in effect they were watering down the legal minimum standard required to stop someone. Legal experts said that this was the largest and broadest-sweeping case against the US’s largest police force, and that this ruling may have an effect on how other police departments conduct street stops. My thoughts on data retention and investigatory powers bill. 1) Whilst I concur with freedom of expression in the UK and I don’t have a problem with GCHQ if they wish to monitor my mobile calls, and emails let me put in plain English to some people I have nothing to hide and frankly I don’t give a flying monkeys as it’s only criminals who have something to hide. 2) GCHQ can only go on the directions of the government of the day. Let’s not forget it was under strict instructions of a dreaded former prime minister AKA the milk snatcher who did away with trade union rights under her rein which saw the trade union being quashed in GCHQ and it took many trade union activists to lobby the government to restore the right to have trade unions in the workplace of GCHQ which came about in 1997 to which I’m proud to be one of the many activists to lobby for the change. 3) There has been grave concerns which has arisen in regards to the Data Retention and Investigatory Powers Bill by some part funded Government lobbyists to seek assurances that across party will vote against the bill which has backfired this is on the grounds of 449 members of parliament voted in favour of the bill. Emergency legislation enabling the police to continue to be able to access communications companies’ records of phone and internet use has cleared Parliament and is set to become law. Peers approved the Data Retention and Investigatory Powers Bill after two consecutive days of debate. It had already won MPs’ backing. Ministers said it needed to be rushed through to maintain the state’s existing powers, after a European Court of Justice ruling in April. But critics had demanded more time to debate the measures. 4) “The Conservatives will bring forward plans to “curtail” the role of the controversial European Court of Human Rights in the UK, Justice Secretary Chris Grayling said 17 July 2014. Mr Grayling confirmed the Tories would set out their proposals in time to be included in the party’s manifesto for next year’s general election. I won’t be surprised if the bill will get the nod to go through to become law by the end of this year which will give the ammunition for the argument of letting through the blanket retention via the backdoor. 5) Don’t be very surprised by this coalition that gives them the requirement to sanction internet service providers to log details of all of their users online activity for inspection by the police and other government agencies. 6) Why I am not surprised the coalition had more than year to consider their response to the European ruling it ruled that it was a breach of data being kept would allow investigators to piece together someone’s private life. 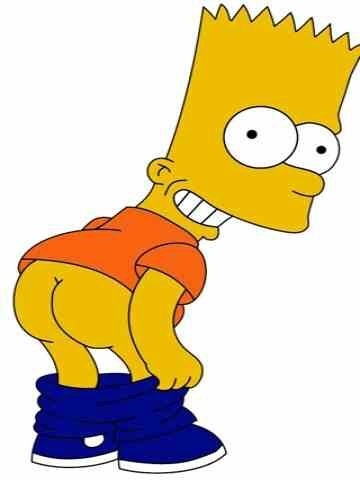 instead the coalition used a canny way to put it to the vote in the house so they can claim credit to say we did it and this what we think of you! Millions of people unemployed or under-employed, homelessness numbers increasing, child poverty levels rocketing, pay cuts for most workers, childcare costs soaring, fuel and food prices outstripping inflation figure, housing costs becoming more unaffordable…..and what does this Govt do about it ? It gives us 1p off a £3+ pint of beer and cuts the tax on Bingo Hall owners !!! 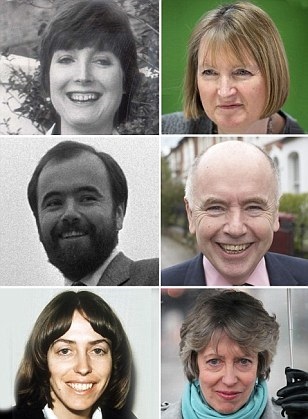 And you want to vote for this bunch of….? Chancellor George Osborne’s budget on Wednesday confirmed that the ruthless Con-Dem assault on the poor, the low paid, the unemployed, the sick and the disabled not only continues but will escalate. There will be no reversal of the austerity drive against public services, welfare benefits and the employment terms and conditions of public-sector workers. Because, as last weekend’s Scottish labour conference recognised, austerity is indeed working – for the rich and big business. It was never intended primarily to reduce the state’s financial deficit. If it were, City of London bankers and other speculators would be punishing Osborne for his spectacular failure. In his contrived “emergency” budget of June 2010, the Chancellor had boasted that annual government borrowing would be reduced to £60bn (or 3.5 per cent of GDP) by this year. In reality, it is now £108bn (6.6 per cent of Britain’s economic output). The national debt would reach 70 per cent of GDP and begin to decline. It currently stands at 75 per cent and is rising not falling. Osborne has little or no hope of eliminating the deficit in 2018 as planned (but orginally set for 2015), without even deeper cuts in public spending, probably combined with further rises in regressive taxation such as VAT and excise duties. Imposing an annual spending cap on welfare – currently set at £119bn in real terms – throughout the next parliament will be central to this intensified austerity drive. Astonishingly, the Labour “opposition” wants such a cap – albeit set at a higher level – to include the state retirement pension, so that it can be under the cosh as well. How the cap will be used to clobber various unemployment, disability, maternity and other payments will doubtless be unveiled in another “emergency” Budget after the 2015 general election. In the meantime, Osborne will pretend to be “upset” that the news headlines concentrate more on his tax relief for bingo, beer and cider than on his strategic genius. No, the City is pleased with this latest budget. All those donations to the Conservative Party represent money well spent. The austerity strategy is delivering lower taxes on the rich and big business, more loot for the banks in the shape of “quantitative easing,” weaker bargaining power on the part of organised labour and the privatisation of public services including Royal Mail, probation services and, in England at least, the NHS and secondary education. Despite rampant crookery, fraud and incompetence in the City of London, the banksters are being shielded from the retribution they so richly deserve. The overall result has been a substantial depression in real wages (by an unprecedented 9 per cent since the coalition seized office) and – for most monopolies in most sectors of the economy – the maintenance or expansion of profits. All the talk about banking reforms, tighter regulation and clampdowns on corporate tax avoidance and bonuses has been just so much hot air. As usual, the main winners in this budget are big business and the super-rich. A fresh series of tax relief measures will enable manufacturing and energy corporations and the property developers to boost their profits still further. Cuts in corporation tax and final abolition of the top rate of income tax will proceed as planned. Just as the UN Intergovernmental Panel on Climate Change is about to publish its most alarming findings so far, the Chancellor proposes to scrap the “escalator” increase in tax on companies with high carbon emissions. Interestingly, the Chancellor subsequently blamed the EU emissions trading system for placing British firms at a disadvantage, thereby requiring his tax relief. That the ETS is a racket, giving EU monopolies a licence to speculate while buying pollution rights from the Third World, was evident from its introduction in 2005. Predictably, with next year’s general election looming ever larger, Wednesday’s Budget contained some sweeteners for the electorate. These include a higher starting threshold for income tax – due to kick in on the eve of polling day on May 7 – and a package of state subsidies for childcare. Reforms and tax concessions relating to personal savings will, by definition, benefit only those people who can afford to save up to £15,000 a year. Crucially, many of these will be key electors in constituencies where the electoral struggle will be between the Tories, Lib Dems and Ukip. The Help to Buy scheme which subsidises buyers of new houses and guarantees repayments to their mortgage lenders is being extended for four years beyond 2016, even though the consequences might well be a housing price bubble followed by a slump and negative equity. The Treasury reckons the scheme will stimulate the construction of 120,000 new private-sector houses over the whole period. Yet Britain needs 250,000 new homes to be completed every single year. Most of those have to be affordable for people on low and middle incomes. So far, the government has pledged to ensure that just 150,000 of these are built throughout the whole current parliamentary term. Public spending on new council and social housing has been cut since 2010 by at least half or almost £2bn a year even with the New Homes Bonus, while tenants face higher rents to make up some of the shortfall. Incredibly, the government is placing its faith and public money in property developers and the private rented sector, for example through the £1bn Build to Rent fund. In response to the Budget, some of Labour’s anti-toff rhetoric has been magnificent but it is not class war. It needs to be translated into policies. At the moment, the Shadow Cabinet is committed to maintaining the public sector pay freeze, abiding by Tory-Lib Dem spending plans for one year after the general election and sticking to a welfare spending cap for the entire parliamentary term. This will not set the voters on fire to ensure a Labour victory at the polls. But it underlines the need to build the Labour party into a powerful mass movement against austerity and privatisation. In alliance with the trade unions, it will be needed as much after May 2015 as it is today. 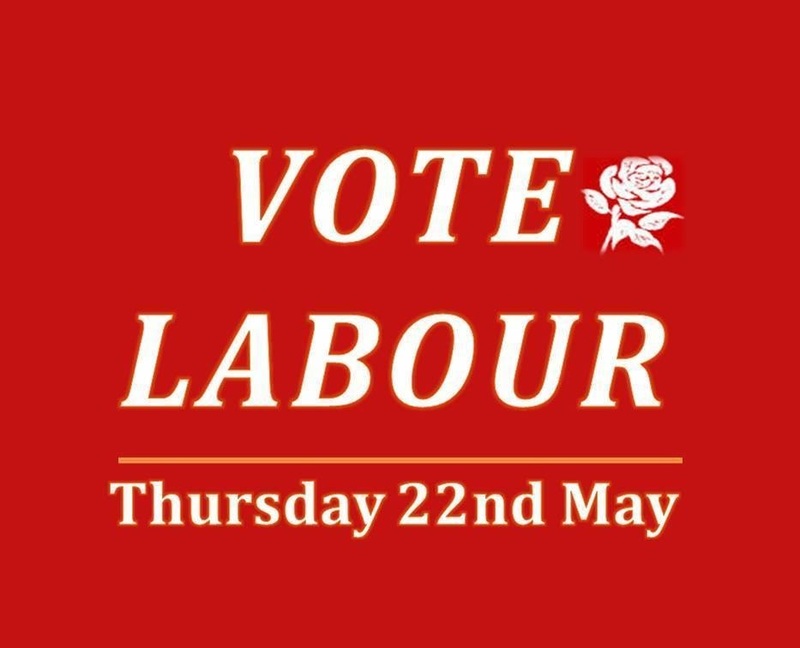 In the meantime, there is vital work to do, persuading people across Britain that austerity is not necessary and that there is an alternative, embodied in the policies of the Labour party and the will of the peoples power to come out to vote Labour. Well many of you may have read in all the right wing rags that Boris Johnson will or being encouraged stand as Member of Parliament. Some say it’s a gimmick to boost the Conservatives who knows what’s taking place only the man himself and he is keeping it close to his chest. Could Boris Johnson be the next leader of the Conservatives and the LibDems are in panic mode as they know full well that their days are over. I’m sure many Conservatives both publicly and privately would enjoy the return of Boris as that would put a real dent to George Osborne, and Teresa May campaign for leadership challenge to David Cameron as he is not popular with his party. David Cameron takes the view it’s better to keep your friends close and to keep your enemies closer to your chest. I’m sure many would have read and watched the budget most of the budget is geared up to sure up the Conservative votes which would have gone to UKIP which I have to say nice gimmick to try win back their voters. For this reason the LibDems are looking to Labour for a sweetheart deal. However there are many on my side of Labour Party will feel betrayed if and when a deal takes place with the LibDems and many have said both publicly and privately not in our name although it’s still early days yet. 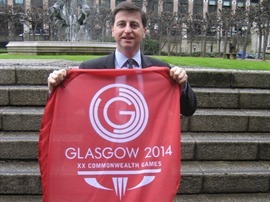 Douglas Alexander is correct in saying He said he was “working and planning for a majority Labour government”. He called the Lib Dems “the enablers of the Conservatives” and said Labour would hold them to account for policies such as raising tuition fees. Mr Alexander, who is directing the party’s election strategy, spoke at the Scottish Labour conference in Perth. In an interview last month, Lib Dem leader Nick Clegg talked openly about the possibility of a coalition between his party and Labour, saying the latter had “changed”. Labour leader Ed Miliband said he was not “interested” in discussing the possibility of a coalition. 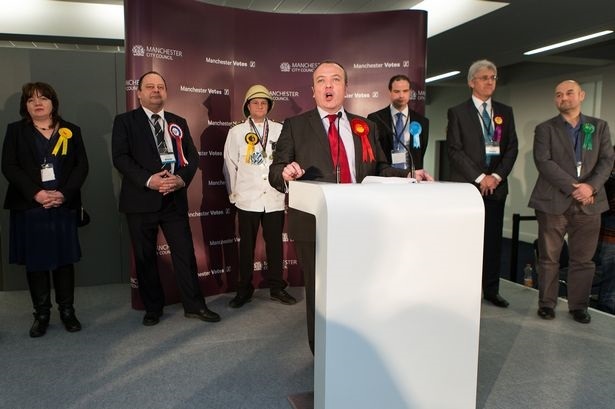 Mr Alexander told the conference on Saturday the 2015 election was “quintessentially winnable” for Labour. He continued: “The Liberal Democrats want to pretend that they are the internal opposition to the Conservatives – they’re not the internal opposition, they are the enablers of the Conservatives. “The reason David Cameron is sitting in Downing Street is because Nick Clegg is sitting next to him at the cabinet table. “It was Nick Clegg, Malcolm Bruce, Robert Smith, Danny Alexander, all the rest of them, they voted for the bedroom tax, voted to triple tuition fees, and have got it wrong on the economy month after month after month. We need to hold them to account for that. He said the Tories were “in wholesale retreat across the United Kingdom”, with only one MP in Scotland and no elected councillors in Liverpool, Manchester, Sheffield or Newcastle. Which leads to another subject matter Lord Tebbit has called on the government to investigate if people using food banks are in fact spending their money on junk food. Speaking in the House of Lords on Thursday night, the Conservative peer dismissed the growth of food banks, saying “there is always a near-infinite demand for valuable goods that are given away free”. Earlier in the debate, Lord de Mauley, the Tory environment minister, told the chamber that he did not believe the government should get involved in the growth of food banks. “Britain has a great tradition of charitable giving, and it would be a bad day on which we started to interfere with that,” he said, drawing gasps from several peers. He rejected Tebbit’s request for an investigation into junk food purchases in the areas where food banks are growing. Tebbit’s comments echo those of Lord Freud, the millionaire Tory minister, who in July last year told the House of Lords that there is no evidence that the growth of food banks is linked to growing poverty and hunger – merely that people wish to get food for free. “Food from a food bank—the supply—is a free good, and by definition there is an almost infinite demand for a free good,” he said. The Trussell Trust, the UK’s largest network of food banks, has previously categorically denied free food, rather than desperation, is the motivation for people to visit their facilities. “Everyone who comes to a Trussell Trust foodbank is referred by a frontline organisation, people can’t just turn up asking for free food,” the Trust said. Over 50% of referral agents to the Trust’s food banks are statutory agencies and referrers include doctors, social workers, schools liaison officers and Citizens Advice Bureaux staff. He added: “I think we introduced that rather without thinking it through very well, and I think that’s costing us. Tebbit made the comments on Wednesday evening at an event in parliament held by The Bow Group. Delivering the conservative think-tank’s first Annual State of the Conservative Party Address, he said the chances of the Conservatives winning the next election were “not looking too hopeful”. Under the coalition’s policy, families receive less housing benefit if they are deemed to have more bedrooms in their home than they need. 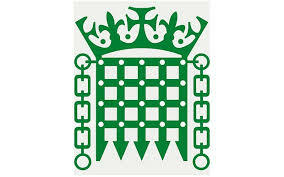 Ministers insist the change is necessary to reduce the housing benefit bill and also free up much needed living space. Tebbit’s comments ally him, unusually, with Ed Miliband. The Labour Party has said the measure unfairly targets poorer people as well as the disabled and has pledged to abolish it should the party win power in 2015. The veteran Tory peer, who is no cheerleader for David Cameron or the coalition, told Conservative activists that the leadership of his party needed to woo back Ukip voters if it had any chance of winning the next election. “David Cameron could only manage 10.7 million [votes in 2010], that was simply not good enough, there was really no excuse for it,” he said. Cameron alluded, perhaps unintentionally, to his failure to secure a majority at the 2010 election during prime minister’s questions on Wednesday when he conceded to an MP that he was “not the world’s biggest expert in campaigns”. Tebbit is a fierce critic of Cameron’s attempts to modernise the Conservative Party and blames the strategy for the party’s current inability to overturn Labour’s poll lead. He said that should Ukip come top in this May’s European elections, as is widely predicted, then the Conservatives would need to sign an electoral pact with Nigel Farage to prevent Labour winning in 2015. He said local Tory parties should look at whether it was the Conservative or Ukip candidate that was most likely to beat the Labour or Lib Dem challenger – and then vote accordingly. “Where we look at a constituency we should say who has the best chance of ensuring we do not get a Lib Dem or Labour member elected,” he said. Tebbit also said that the coalition had been a mistake and the sooner it was ditched the better – even if it meant forcing a general election. “The coalition has gone past its sell by date, it’s beginning to smell a bit,” he said. However despite his hatred of the coalition, Tebbit said he did not object to all the Lib Dem ministers in government. “The chief secretary to the Treasury is one of the best of them,” he said. The compliment is unlikely to be received warmly by its target, Danny Alexander, who has in the past been accused of being too close to George Osborne. Whilst Staffers from the Conservatives Cabinet ministers have given personal staff huge pay hikes while restricting public sector workers to below-inflation rises. The meagre increases for workers mean they are taking a pay cut in real terms – while some special advisers are enjoying bumper rises of more than a third of their salaries. The special adviser to Work and Pensions Secretary Iain Duncan Smith received a massive 36 per cent salary boost last year. David Cameron’s chief of staff Ed Llewellyn got a hefty 12 per cent increase from £125,000 to £140,000 – which means he now earns more than twice the £66,396 salary of an MP. And Home Secretary Theresa May’s private office aides Fiona Cunningham and Nick Timothy enjoyed whopping 14 per cent rises, taking their pay from £65,000 to £74,000. Special advisers, known as “spads”, are temporary civil servants who give political advice to ministers. Mr Duncan Smith bumped up his spad Philippa Stroud’s pay last year from £69,250 to £94,000. A Cabinet Office spokesman explained that pay rises for spads have to be approved by a special committee, which is chaired by Lib Dem Chief Secretary to the Treasury Danny Alexander. Although the Tory-led Coalition had promised to clamp down on spads, their numbers have soared since 2010. Shadow Cabinet Office Min­is­ter Chi Onwurah said: “Ministers are happy to sign off on massive wage increases for their political ­advisers. Earlier this month, Health Secretary Jeremy Hunt flat-out refused an across-the-board ­salary rise, recommended by an official pay review board, to thousands of NHS staff. Pay increases for junior public sector workers have been below inflation for four years. That means they are taking real-terms wage cuts while the cost of living in Britain has soared over the past few years. As a result, the average public-sector worker is £3,700 worse off over this period, ­according to research by experts VocaLink. But top civil servants pocketed more than £140million on top of their pay last year – despite a Government promise to end Whitehall’s bonus culture. Almost 900 members of the elite Senior Civil Service received bonuses averaging £9,700, with one Ministry of Defence ­mandarin getting £62,422. Labour MP Keith Vaz said: “Senior civil servants should not receive special treatment.” So its no surprised that public sector workers are very angry with the coalition. 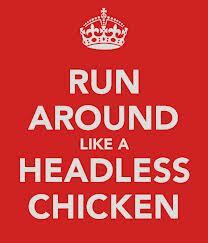 So do continue to run around like headless chickens coalition and many of will be voting for Labour come 22 May 2014 in European and Local Government elections. Working people are on average more than £1,600 a year worse off under David Cameron. The Tory-led Government have cut taxes for people earning more than £150,000 while everyone else is worse off. The number of young people claiming unemployment benefits for over a year has doubled. Under David Cameron, for the first time more than half of households in poverty are in work. More than five million people are paid less than the living wage. With a record like this, how can the Tories claim to be the “workers’ party”? It’s clear that David Cameron has made his choice: standing up for a privileged few, not for working families. It is the Labour Party that has always been the workers’ party the clue is in the name. That’s why we’ll strengthen the minimum wage, increase free childcare for working parents and introduce a compulsory jobs guarantee for young people unemployed for over a year. The Tories have never had the interests of working families at heart. Funded by millionaires and then cutting their taxes: with David Cameron’s record as leader they’d be better off renaming themselves the millionaires’ party. It’s not surprising that the coalition has purposefully forgotten that our social security system evolved to address poverty and huge social inequality. It was never intended as a punitive, patronising Tory “moral crusade”. The system does not benefit the poor any longer, and we need to look at the fact that the Tories have turned what was meant as a sensible, civilised, well meaning system of support for anyone that may need it into a tool of class warfare, which is no longer fit for its original purpose. 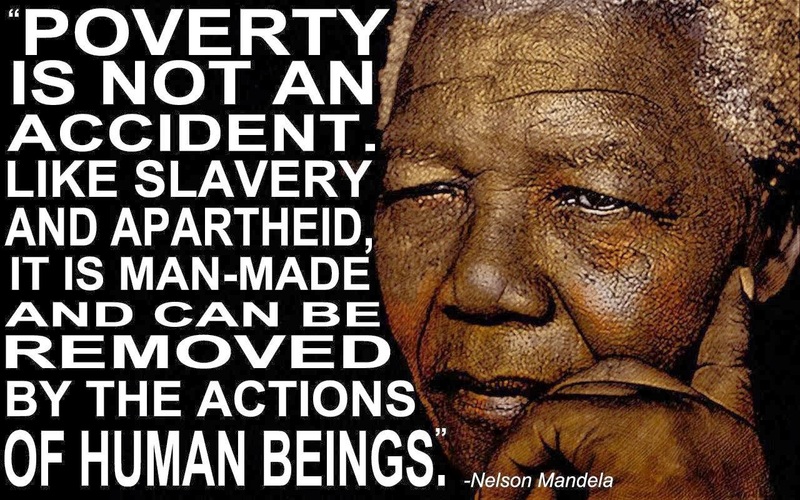 Not only have the Tories perpetuated deception on a rather grand scale, which encourages a deeply patronising attitude to those who live in poverty, and justifies their punishment and persecution of us, they have caused absolute poverty, pain, suffering, loss of dignity and death. Only Tories could stamp their corrosive brand of elitism on civilised social support mechanisms and turn them into a “survival of the ‘fittest'” game. I’m sure many will recall the New Deal for Communities was another of the previous Labour government’s flagship policies a national regeneration scheme. It had a “re-democratising democracy” aim built into these policies, and New Deal was closely overlapped with their flagship Every Child Matters, too. Joined up thinking at its very best. It was launched in 1998. The main goal of the programme was to reduce disadvantages in the poorest areas- increase social inclusion, and it placed an emphasis on a commitment to involving local people in a wide range of policy decisions, including regeneration – by focusing on four issues: unemployment, poor health, crime and education. Local participation was a key to achieving positive outcomes in these areas. Other issues such as improvement to the physical environment were secondary to these main priorities. My own post was on various issues and about tackling the risk of crime and social exclusion, which meant a lot of inter-agency work, such as in schools, and with the police, and group work with young people, it required acknowledge of the key cause of crime, and building our project provision for young people around that. Just the fact there WAS provision for them in itself made a massive difference to their lives, and significantly reduced crime and “ASB” at a local level. In a way, by focusing on needs in the community, and inclusion, the reduction in offending happened by itself, as a consequence of a broad and participatory approach, in my own and other people’s experience. Labour’s neighbourhood renewal policies achieved a great deal, and made a big difference to deprived communities and those who were socially excluded under the previous Thatcher and Major governments. They established a better- informed and better co-ordinated approach to tackling both spatial and phenomenological inequalities. Outcomes improved in priority areas that were targeted employment, crime, health, education, housing and physical environments. The trend towards widening neighbourhood disparities was reversed in many areas. In general, evidence strongly suggests the programmes offered outstanding positive social outcomes and excellent value for money. ‘When Labour created the NHS, in the face of austerity and Conservative ­opposition, we placed on the Statute Book a legal duty requiring national government to provide a comprehensive health service free at the point of delivery for all British citizens. It was a foundation stone of ­political accountability. And it was abolished by the very first line of David Cameron’s Health Act last year. This duty to provide health services is now left with “local commissioning groups”, organisations of which few people have ever heard and no one can vote out of office. Instead of having responsibility to provide services, ministers are now expected only to “promote” them. And we’re now beginning to see the consequences – David Cameron and his ministers routinely dodging responsibility for the problems they have created. The crisis in A&E? Blame the GPs. Ambulance queues doubled? It must be the fault of the local hospital. Rationing of vital treatments like cataract operations and hip ­replacements? It’s a matter for your local commissioning group. This is the Government’s ABC of blame anyone but Cameron. The next Labour government will start to put NHS values, not Tory values, back at the heart of it. We would repeal David Cameron’s Health Act and reinstate the ­Secretary of State’s duty to provide a comprehensive health service. We will stop the fragmentation and the privatisation of our NHS so we keep it as a truly national service and begin rebuilding the ethos of our NHS – so that its first 65 years are not the last.’ Ed Miliband. ‘When Labour created the NHS, in the face of austerity and Conservative opposition, we placed on the Statute Book a legal duty requiring national government to provide a comprehensive health service free at the point of delivery for all British citizens. Instead of having responsibility to provide services, ministers are now expected only to “promote” them. And we’re now beginning to see the consequences David Cameron and his ministers routinely dodging responsibility for the problems they have created. The crisis in A&E blame the GPs. Ambulance queues doubled? It must be the fault of the local hospital. Rationing of vital treatments like cataract operations and hip ­replacements? It’s a matter for your local commissioning group. We will stop the fragmentation and the privatisation of our NHS so we keep it as a truly national service and begin rebuilding the ethos of our NHS – so that its first 65 years are not the last.’ Ed Miliband . 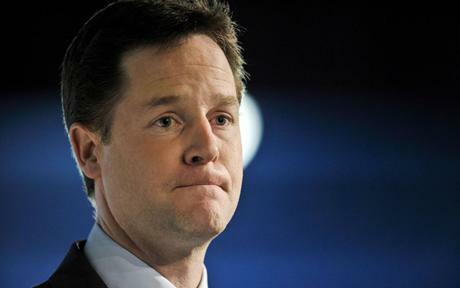 Nick Clegg has been branded “patronising” by one of his own MPs over his support for benefit cuts. Sarah Teather, a former minister, said the system was leaving people “destitute”. Her criticism comes after Clegg accused the Archbishop of Westminster, the Most Rev Vincent Nichols, of exaggerating the effects of the coalition’s welfare reforms. Teather said Clegg’s intervention was not “very helpful” or “well informed” as she backed the Archbishop’s stance. Oh lets not forget Conservative Party chairman Grant Shapps has encouraged his followers on Twitter to retweet an image of Ed Miliband in which the Labour leader is mocked for being the “millionaire son of a Marxist academic, whose entire life has been spent in political jobs”. Given Miliband is indeed the son of Marxist academic Ralph, does live in a multi-million-pound property in north London and did serve as a special adviser to Harriet Harman and Gordon Brown prior to becoming a Labour MP, you could argue that it is a legitimate, even canny, line of attack from the Tories. Especially given how most polls suggest the party is vulnerable to the charge that it is ‘out of touch’ with the concerns of ordinary people. But did Shapps check with his superiors before tweeting – specifically, the prime minister and the chancellor of the exchequer? The Conservative Party leader has had little life experience outside of Conservative Party politics. David Cameron (who is worth almost £4m) landed his first job out of university with the Conservative Research Department (CRD) in 1988 (allegedly with the help of Buckingham Palace). He went on to work as.. wait for it.. a special adviser (spad) for the then Tory chancellor, Norman Lamont, and was caught on camera standing behind his boss on ‘Black Wednesday’ in 1992. After Lamont lost his job, Cameron became a spad to another Conservative cabinet minister: the then home secretary Michael Howard. The only job the prime minister has had outside party politics is as ‘director of corporate’ affairs for Carlton Communications, between 1994 and 2001 (when he became a member of parliament). That’s real world experience, eh? Cameron, incidentally, isn’t the son of a Marxist academic – his late father was a stockbroker. As for George Osborne (who is worth around £4.5m), he had a handful of part-time jobs after graduating from Oxford – including re-folding towels at Selfridge’s – before joining the Conservative Research Department in 1994, later becoming head of its political section. Osborne went on to work as… yes, you guessed it.. a spad for Douglas Hogg, John Major’s agriculture secretary during the BSE crisis. Next, he became a speechwriter and political secretary for then Tory leader William Hague, before quitting to run for parliament in 2001. Osborne’s dad, incidentally, wasn’t a Marxist academic either – Sir Peter Osborne is the multimillionaire founder of upmarket wallpaper designer Osborne & Little and a baronet, too. So has the Conservative Party chairman unwittingly legitimised attacks on politicians’ parents, finances and career backgrounds? And do the Tories have more to lose on this than Labour? A Labour Government would streamline local public services to save money, Chris Leslie, the shadow Chief Treasury Secretary, will pledge today. Options include “leaner” commissioning deals for health and social care; locating magistrates and county courts on the same site; greater collaboration between the emergency services; merging police forces; scrapping elected police and crime commissioners and councils “sharing” senior staff and services such as street cleaning, recycling and ground maintenance. “We are looking not only at where efficiencies are achievable, but how services could be reconstituted to release the cashable savings that are now required,” Mr Leslie will tell the Social Market Foundation in his first major speech in his post. His words are likely to annoy the shadow Chancellor, Ed Balls, who would challenge any suggestion that government finances would be unsafe in his hands. They will please Labour MPs and many grass-roots Liberal Democrat activists, however, showing that the Deputy Prime Minister is making public overtures to Labour, while accusing the Conservatives of having changed “dramatically” – for the worse. 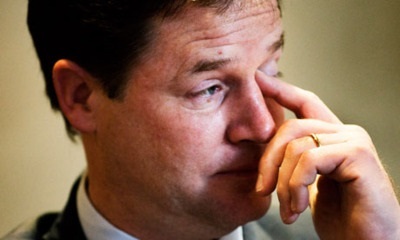 Mr Clegg also suggested that the Liberal Democrats are finding the Conservatives increasingly hard to deal with. He claimed: “The Conservative Party has changed quite dramatically since we entered into coalition with them. They’ve become much more ideological, they’ve returned much more to a lot of their familiar theme tunes. 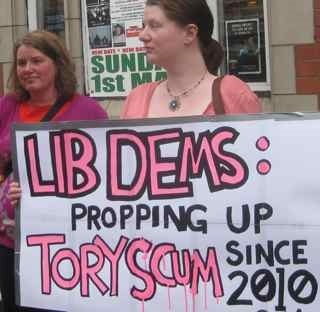 The Liberal Democrats have suffered a run of disastrous opinion poll findings, and their candidate in last week’s Wythenshawe by election lost her deposit, which suggests they will lose seats in next year’s general election. But they have a track record of holding on in places where they have a strong presence, as they demonstrated when they won to Eastleigh by-election after Chris Huhne resigned. Can somebody remind us who help to push through the dreaded zero hour contacts? The government has run out of ideas and failed to tackle the scourge of zero-hours contracts, unions and the Labour Party claimed yesterday. They sounded their warning as Business Secretary Vince Cable prepared to launch a consultation on the controversial contracts but ruled out an outright ban, claiming they offer “welcome flexibility” for some workers. Mr Cable insisted the contracts had a place in the labour market even though there had been evidence of abuse. The 12-week consultation will include the possibility of banning “exclusivity contracts” which offer no guarantee of work and stop people working for another employer. Mr Cable said: “A growing number of employers and individuals today are using zero-hours contracts. While for many people they offer a welcome flexibility to accommodate childcare or top up monthly earnings, for others it is clear that there has been evidence of abuse around this type of employment which can offer limited employment rights and job security. “We believe they have a place in today’s labour market and are not proposing to ban them outright, but we also want to make sure that people are getting a fair deal. TUC general secretary Frances O’Grady said: “The growth of zero-hours contracts is one of the reasons why so many hard-working people are fearful for their jobs and struggling to make ends meet, in spite of the recovery. GMB national officer Mick Rix added: “This snail’s pace reaction to what is clearly an urgent problem will not bring any Christmas cheer to exploited low-paid workers on zero-hours contracts and similar contracts offering employment insecurity. Shadow business secretary Chuka Umunna said: “Ministers have failed to act on this worrying rise in zero-hours contracts. LET’S hear it for David Nuttall, the only Tory MP with the guts and rhinoceros skin to match to attend the debate on Ian Lavery’s bedroom tax Bill and vote against it. The Bury North MP was the lone voice opposing Lavery’s Housing Benefit and Universal Credit in the Social Housing Sector Bill while 226 voted in favour. Unfortunately, the Bill has no chance of becoming law because the massed ranks of Tory and Liberal Democrat MPs will be deployed against it. The conservative coalition that voted as one to cut income tax for the richest 1 per cent will display similar unanimity in supporting the government’s dishonest and brutal tax on some of the poorest people in Britain. Two-thirds of those affected are disabled, which explains the mass booing of George Osborne last summer when he had the front to turn up to award prizes to Paralympic competitors. The tax is dishonest because it is based on the false premise that tenants can downsize to smaller properties and refuse to do so. The National Housing Federation (NHF) reported last year that 180,000 tenants were “underoccupying” two-bedroom homes while only 70,000 one-bedroom flats were available. In fact, the idea of underoccupation is faulty since it takes no account of the circumstances in which households live, especially when one or more members has a disability. Had the government been seriously perturbed about a shortage of larger properties being available for families, it would have agreed with housing campaigners that there should be a concerted initiative to build council homes. The same applies to the very real dearth of one-bedroom accommodation needed by growing numbers of single homeless people as well as those living in homes too big for their needs who would like to downsize. 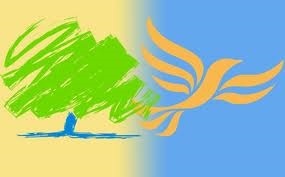 The Tories and Liberal Democrats have not considered personal circumstances or personal wishes. They have hunted for ways to dispossess people in social housing and to impose punitive taxes on them as part of an austerity agenda designed to further skew the division of national income towards the rich minority. The tax has had the effect its opponents forecast before pro-government MPs pushed this measure through Parliament. It has claimed the lives of tenants driven beyond despair to commit suicide. Others have been plunged into severe depression as the result of escalating debt and the threat of eviction. According to the NHF, two-thirds of households affected by the tax are now in rent arrears while one in seven have received eviction risk letters. Labour has pledged to repeal bedroom tax legislation if it wins next year’s general election. In Holyrood, the Scottish National Party government has said that it will fund the £50 million bedroom tax shortfall, effectively axing the tax in Scotland. The Department of Work and Pensions admitted last month that a legal loophole meant that social housing tenants who had lived in their homes since January 1 1996 and claimed housing benefit since then would not be subject to the bedroom tax. It has since announced that this loophole will be closed as of March 3, but the writing is on the wall for this unjust measure. The bedroom tax has so many similarities to Margaret Thatcher’s poll tax, not least in the nature of its victims and their inability to pay up even if they chose to. The sooner it is killed off the better. The government’s assault on the poor includes abolishing council tax benefit. This is just as pernicious as the bedroom tax but has received less publicity. It came in on May 1. Prior to this, council tax benefit was means-tested and administered by local authorities. If you were on employment and support allowance or jobseeker’s allowance, or your income was at that level, you received 100 per cent council tax benefit, leaving you with nothing to pay. Slightly higher incomes were means-tested, so that you could still receive some council tax benefit. The name suggests lower council tax bills. It is nothing of the sort. It is simply a subsidy from government to local authorities to replace council tax benefit. But the big difference is that the “council tax-reduction” subsidy is only 80 per cent the amount that a local authority used to receive in council tax benefit. So claimants who were receiving 100 per cent council tax benefit now only have 80 per cent of their council tax bill reduced, leaving them to pay 20 per cent. Around two million people are affected. The difference between 100 per cent council tax benefit and 80 per cent council tax reduction is £400 million – that’s the amount cut by the government. It never ceases to amaze me how this government can believe that someone who receives what the state decides is the bare minimum required to survive – and pay for food, heating, lighting and other essentials – can suddenly be asked to find extra money from that subsistence amount. Jobseeker’s allowance was not calculated to include a 20 per cent contribution towards council tax, just as it was not calculated to include the bedroom tax. The government’s intention is to blame local authorities for this cut. By simply giving local authorities a pot of money equivalent to 80 per cent of the amount that they used to receive in council tax benefit, it can claim that if local authorities pass the 20 per cent shortfall onto each council taxpayer, that is their choice. The government can say that local authorities could choose to reduce council tax by 100 per cent – on a means-tested basis – but have decided not to. Of course, it is a fake choice. If a local authority decides to retain 100 per cent reduction of council tax, it will have to find the extra 20 per cent from its budget. So will be looking at making cuts elsewhere. It falls to local authorities to collect council tax, and so we are suddenly back to the days of the poll tax. Brent and Southwark councils have each issued thousands of applications for liability orders in the magistrate’s court, predominantly against people who previously received 100 per cent council tax benefit and are now being asked to find £2 to £5 per week towards council tax, even though their other benefits have not increased accordingly. The method of challenging a council tax bill is immensely complex. Each local authority has its own “council tax-reduction scheme,” which it should publish on its website. That scheme sets out how the council tax will be reduced, on the basis of means-testing etc. If you receive a council tax bill and you want to challenge it, you have to check your circumstances against the scheme published by your council. If the council has got your details wrong and you should be entitled to a higher reduction, first of all complain to the council. If the council refuses to change its decision or fails to reply within two months, you appeal to the valuation tribunal. The appeal can only be on the basis that the council has wrongly applied its own scheme and your circumstances mean that you should be entitled to a greater reduction under the scheme. The tribunal will not hear appeals arguing you cannot afford to pay the council tax. Each council must also operate a council tax discretionary relief scheme or council tax hardship scheme and details should be in the published council tax-reduction scheme. These are little-known provisions which give councils a discretion to reduce council tax liability in particular circumstances, usually applied to war pensioners or the very seriously disabled. These discretionary relief schemes can help in the short-term to reduce council tax bills for those in real poverty. If you simply can’t afford to pay your council tax but are not entitled to discretionary relief and you can’t argue that the council misapplied its own scheme, then you will eventually receive a summons to the magistrate’s court so that the council can obtain a liability order. There are some technical arguments here – is the amount on the summons the correct amount, has the council applied the right time limits? But, again, if the only reason why you are not paying your council tax is because you can’t afford to, the magistrate’s court has no discretion but to make a liability order. Poverty is not a defence. In many ways, this is the new poll tax. Its aim is that everyone, even the poorest, should contribute to council tax. It is implemented by local authorities – which may or may not have agreed with the cut depending on their political composition – and so local authorities take the political blame. 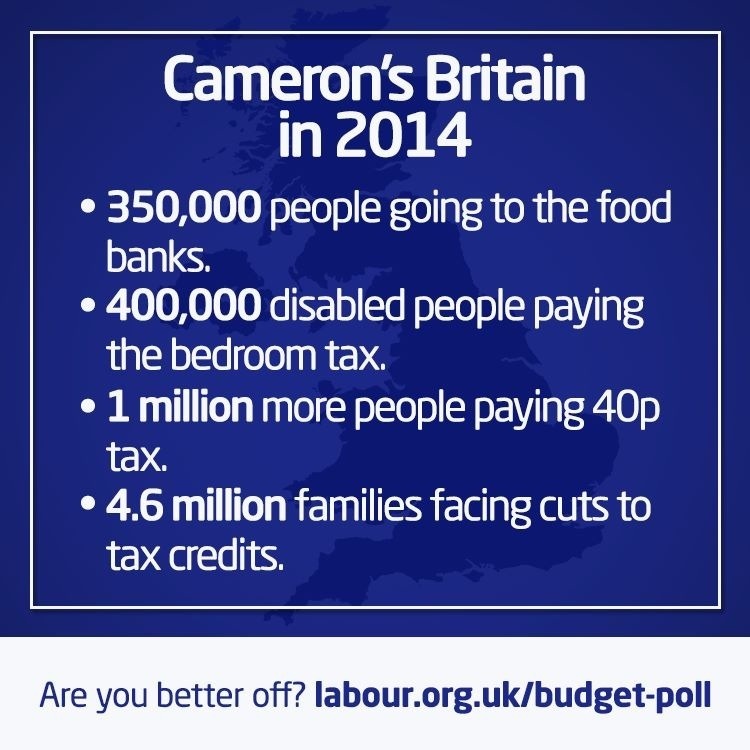 But, unlike the poll tax and much more like the bedroom tax, it is a tax on the poor. It is a tax on people who were previously assessed as being so poor that they should receive 100 per cent discount on their council tax, through council tax benefit. Garden Court Chambers, where a colleague work, has launched Legal Action on Council Tax. The website contains detailed legal information as to how to appeal to a valuation tribunal and what happens when you are summonsed to the magistrate’s court. No legal aid is available and so applicants have to represent themselves. Our hope is that the dissemination of information will give applicants the tools to make the argument and do just that. Perhaps the best hope is that, like the poll tax, the collecting authorities and the courts will become so overwhelmed that government has to give in. I fully believe that the Leveson Report should be implemented and stop pussyfooting around as we all aware that the Conservatives Spring Conference is due to begin today and their donors are impatient with Cameron. I’m not surprised or shock that the Nasty Party pulled out the crossed party over Leveson Report on the grounds that they never had any intention of implement any of the recommendation of the report with the support of their coalition partner or Labour. Let us all be clear if phones were not hacked this problem would not have happened in the first place. I have more time for the Hack Off Campaign group than this coalition. I believe that all campaigns hold members of parliament (MP) to account as they are voters just like you and me. My message to coalition is “Pick sense of nonsense”. I’ve come to the conclusion that the Conservatives donors are pulling the buttons of David Cameron to water down Leveson Report and they have to play the blame game on Labour again by accusing the Hack off campaign having a hold on Ed Miliband and Nick Clegg. If there has been any hijacking, it was by the powerful interests whose publications conspired to breach citizens’ privacy in pursuit of higher circulation and profits and are now intent on promoting the mirage of regulation rather than its essence. These mouthpieces for the rich and powerful are trying to pull the wool over their readers’ eyes by affecting to stand up against statutory regulation of the press. Statutory underpinning of media self-regulation is far from statutory regulation of the press, but the media moguls propagate this myth to paint themselves as guardians of press freedom against “Stalinist” enforcers of uniformity led by the Hacked Off campaign and National Union of Journalists leader Michelle Stanistreet. It beggars belief that these smug panjandrums can describe the media in Britain as “free of political control for 300 years,” when most of our newspapers offer a severely restricted right-wing viewpoint. Absence of direct state control does not equate to freedom, as Rupert Murdoch’s dictatorial prescription of what is acceptable in his stable of newspapers illustrates clearly. It would require the most abject betrayal of political principle by Nick Clegg for Liberal Democrat MPs to troop into the division lobbies next Monday behind David Cameron’s attempt to bury Leveson. While such a possibility can never be discounted, Cameron’s decision to simply pull the plug on joint talks with Clegg and Labour leader Ed Miliband was sufficiently contemptuous to have forced even the Liberal Democrat leader to declare that this worm is finally for turning. His party, in common with Labour, has insisted that Cameron’s Royal Charter without statutory underpinning is inadequate and an insult to the Leveson inquiry and the witnesses who testified. To the surprise of no-one at all, Cameron has secured backing from major media transnational corporations including the Daily Mail Group, the Telegraph Media Group and Rupert Murdoch’s News International. The executives of these capitalist conglomerates share Cameron’s misrepresentation of talks on regulation as having been “hijacked” by those demanding legislation. His slippery “I remember nothing” performance before Leveson, together with his son’s “no-one told me anything” act, should caution acceptance of Cameron’s cosmetic variation of the discredited model of voluntary self-regulation that has served media proprietors so well. However, it has not served the public interest, as the shameless treatment of countless individuals has revealed, most disgracefully and heartlessly in the case of Millie Dowler’s family. Leveson’s proceedings provided a window on the misdeeds of sections of the media that believed themselves invulnerable because of wealth and political connections. How that media operates in future is too important to be left to the rich and powerful and their parliamentary pawns on the Tory Party front bench. 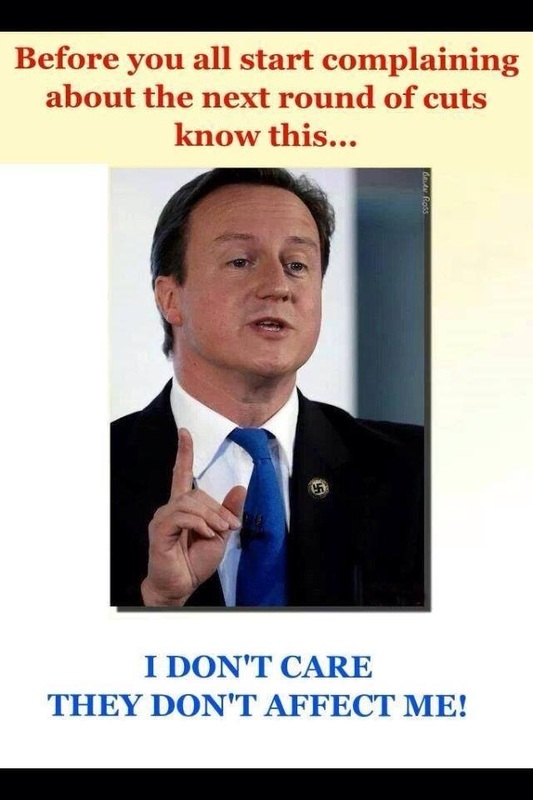 This Cameron-supporting claque does not speak for all the media. Apart from the Morning Star, the Financial Times, Independent and Guardian groups all accept the need for statutory underpinning. This is despite not having indulged in any of the illegal practices brought to light by Leveson, which have tainted the entire media in the eyes of the public. Politicians who resist the tidal wave of propaganda in support of Cameron’s bid to circumvent Leveson can expect to be monstered as enemies of press freedom by the usual suspects. So MPs will require political backbone and a thick skin to vote down the Prime Minister’s Royal Charter charade on Monday. A day of talks over implementing the Leveson report on press reform, including a joint meeting between the Hacked Off campaign and the Labour and Liberal Democrat leaderships, failed to achieve a breakthrough on Tuesday. Hacked Off, which represents victims of press intrusion such as Kate and Gerry McCann, met with Nick Clegg and Ed Miliband to see if fresh proposals from the Conservatives took the complex negotiations to a conclusion that could satisfy all those involved. There had been hopes that all three leaders, Clegg, Miliband and David Cameron, would meet to seal a deal on Tuesday evening, but in the end too many disagreements remained for them to come together. 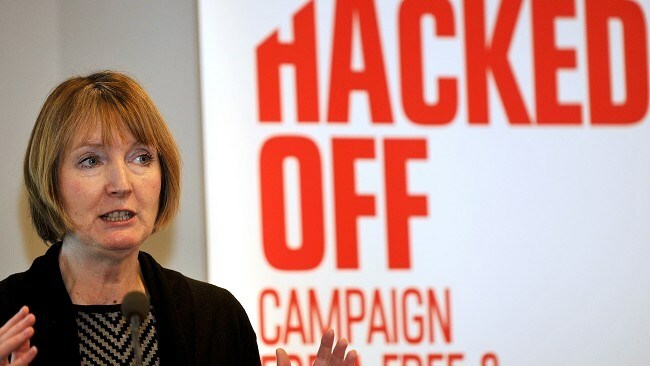 A Hacked Off source said they were “still far apart on vital issues”, including whether the press would be able to write its own code of practice, and whether the industry would be able to veto appointments to a revamped Press Complaints Commission. However, the PM’s spokesman said progress was being made. Talks on Monday night between Oliver Letwin, Cameron’s policy fixer, the culture secretary, Maria Miller, Labour’s shadow culture secretary, Harriet Harman, and Lord Wallace for the Liberal Democrats, led to fresh proposals on how a body enshrined in a royal charter to oversee the work of the PCC would be implemented. Various ideas have been advanced to make the royal charter permanent, including the suggestion that a law could be introduced that does not refer to the oversight body specifically but says that any royal charter that a future government wants to change cannot be amended by the privy council alone. “This would not be sector-specific,” the source said, but would be a statute about royal charters. The idea has been advanced by the barrister Hugh Tomlinson, one of the lawyers informally advising Hacked Off and an expert on press regulation. The Conservatives had previously proposed a royal charter as a way of ensuring a permanent body is set up to oversee and verify the new press regulatory body proposed by Leveson. Cameron had resisted Leveson’s recommendation that a revamped PCC should be underpinned by a law. Both Labour and the Liberal Democrats have been concerned the royal charter and the verifying body could be abolished in the future at the whim of a minister, unless they are backed by statute. There has also been disagreement over the extent to which the regulatory body should be chaired by an independent figure not employed by the press. Cameron is caught between a need to satisfy a divided press industry and a desire to stick to his commitment to implement the principles behind the Leveson report. The sticking points on Friday were that Conservatives were siding with newspapers such as the Daily Mail and the Daily Telegraph, who wanted a veto over appointments to the new body, control over the code of practice, and restrictions on third-party complaints.